We have a reputation for providing exceptional legal representation and building long lasting relationships. We are dedicated to providing the highest-quality legal representation to meet our clients’ needs. Our goal is to provide solutions to your complicated legal matters. Graves & Allen, Attorneys and Counselors at Law, has an established reputation for providing exceptional legal representation in the areas of real estate, business and civil litigation to clients in the San Francisco Bay Area and throughout Northern California. Located in Oakland, the firm’s practice emphasizes negotiation, structuring and documentation of real estate, loan and other business transactions, receiverships, and civil litigation. The firm’s representative clients include banking institutions, title companies, institutional and private lenders, borrowers, developers, contractors, real estate brokers, buyers, sellers, landlords, tenants, receivers, hotel operators and other general business interests. Since 1973, we have established long-lasting relationships with our clients. 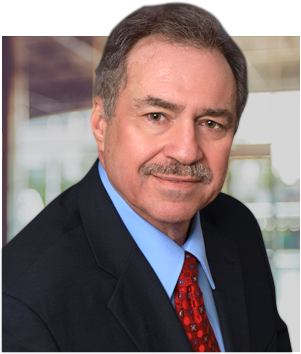 Firm principal Jeffrey Allen has 40 years of experience in transactional and litigation matters in trial and appellate courts at both the state and federal level. Mr. Allen’s skill and expertise has been recognized by his peers. He is AV® rated by Martindale-Hubbell®, the national directory of attorneys, indicating the highest levels of professional excellence and ethical standards. Mr. Allen is frequently called upon to serve as a third party neutral, serving as an arbitrator and mediator. For further information regarding Mr. Allen’s experience and qualifications, please see the attorney profile page. We are dedicated to providing the highest-quality legal representation to meet our clients’ needs and goals. To accomplish this, we offer personalized service and individualized representation. To learn more about the firm’s services, please call 510-839-8777 or contact Graves & Allen online.